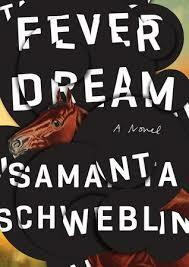 This entry was posted on February 6, 2017 at 8:06 pm and is filed under Man Booker International Prize 2017, Samanta Schweblin. You can follow any responses to this entry through the RSS 2.0 feed. You can leave a response, or trackback from your own site. It would be nice to think I’d read one! I saw John Self talking about your review of this on Twitter. It does sound very interesting. I’ll make a note of it. How did it come to your attention? I think I first saw it on one of those ‘books to look out for’ lists for the beginning of 2017, probably followed by Jeff Lynn reading it! It strikes me that this sentence, “Unfortunately for Amanda and Carla they live in a poisoned world full of invisible danger.” is true for all of us, really. Yes, that is exactly what I thought!